As part of the OpenNTF development contest sponsored by hedersoft, Vasiliy Solyanik has contributed a project called DocumentCollection Tool on XPages. "This is a simple database-tool for copy the values from the collection of documents from the source database to the determinate fields of the document from the collection of documents from the target database. Source and target collections are compared by a key (it takes from "evaluate key"). Example. You have two databases: the Test and the Work. 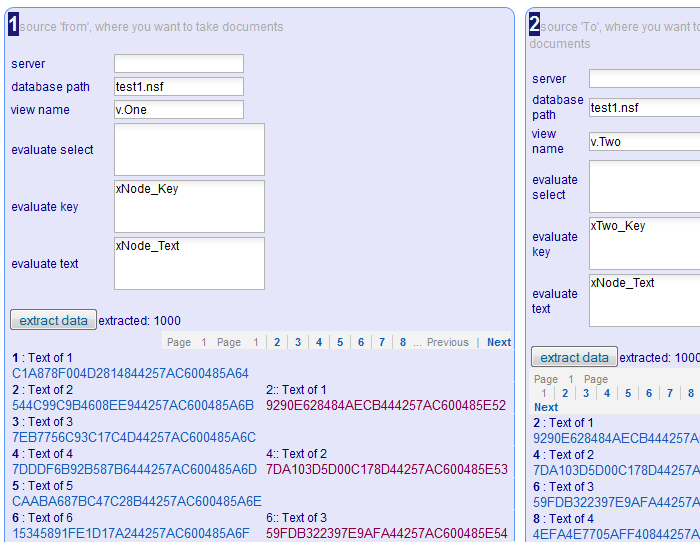 Users typed some real data into documents of the Test database. And you want to copy only some fields to the fit documents to the Work database."